We’d love your help. Let us know what’s wrong with this preview of The Book of Dreams by Nina George. Henri Skinner is a hardened ex-war reporter on the run from his past. On his way to see his son, Sam, for the first time in years, Henri steps into the road without looking and collides with oncoming traffic. He is rushed to a nearby hospital where he floats, comatose, between dreams, reliving the fairytales of his childhood and the secrets that made him run away in the fi Henri Skinner is a hardened ex-war reporter on the run from his past. On his way to see his son, Sam, for the first time in years, Henri steps into the road without looking and collides with oncoming traffic. He is rushed to a nearby hospital where he floats, comatose, between dreams, reliving the fairytales of his childhood and the secrets that made him run away in the first place. To ask other readers questions about The Book of Dreams, please sign up. A beautifully written book, richly metaphorical, about hovering in the space between life and death. It follows Henri, in a coma after an accident, and how he tries to interact with his loved ones and they in turn with him. Poignant and profound, we explore the feelings of loss, hope and grief, all at once. Yet, even though I can appreciate the beauty of this book, it really wasn't for me. 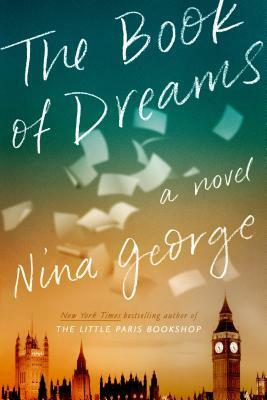 Whilst The Book of Dreams by Nina George is not perfect, there is nevertheless much to love about this profoundly moving novel about what it is to be human and just how much momentous decisions define the life path for a person. In this complex and complicated book of family drama, relationships and human emotions, ex-war reporter, Henry Skinner, is on his way to meet his estranged teenage son, Sam, when he finds himself saving the life of a young girl in the River Thames. Unfortunately the most Whilst The Book of Dreams by Nina George is not perfect, there is nevertheless much to love about this profoundly moving novel about what it is to be human and just how much momentous decisions define the life path for a person. In this complex and complicated book of family drama, relationships and human emotions, ex-war reporter, Henry Skinner, is on his way to meet his estranged teenage son, Sam, when he finds himself saving the life of a young girl in the River Thames. Unfortunately the most hellish misfortune has Henry hit by a car, and knocked unconscious and into a coma. Henry is in the intensive care unit of a London hospital where the neurologist is referred to as God. 13 year old Sam has the unusual gift of synaesthesia, meaning he is aware and can sense what others cannot. As he sits by his father's bedside, he is joined by an ex-love of Henry's, the heartbroken Eddie Tomlin, and finds himself beginning to connect with a 12 year old girl, another patient in a coma in the unit. Henry, a man with secrets, finds himself reliving aspects of his life and childhood in his dreams, including his relationships with Marie-France, Sam's mother, and Eddie, but one where different choices and decisions are made and their outcome. In a story where the four characters begin to connect, George utilises the concept of a coma about which relatively little is known to explore the different levels of consciousness, the nature of father and son relationships, love, loss and compassion. Celia Wonderful review, Paromjit. I am reading right now. Until I read your review I did not know what to think. Your insights have helped me appreciate it. I didn't know what I was getting myself into when I picked up this book, and I mean that in the best possible way. This is the type of book I will be thinking about for awhile. I think the author really took a chance with this one and maybe it won't be for everyone, but I'm pretty darn glad I read it. The story in some ways is a bit tricky to explain without getting into spoiler territory so I'm gonna keep it brief and simple. The less you know is probably best in this case. Henri Skinner is set I didn't know what I was getting myself into when I picked up this book, and I mean that in the best possible way. This is the type of book I will be thinking about for awhile. I think the author really took a chance with this one and maybe it won't be for everyone, but I'm pretty darn glad I read it. The story in some ways is a bit tricky to explain without getting into spoiler territory so I'm gonna keep it brief and simple. The less you know is probably best in this case. Henri Skinner is set to see his teenage son, Sam, for the first time in years when he is rushed to the hospital after being involved in a traffic accident. Henri's former girlfriend, Eddie, and Sam stick close to Henri's hospital bed as he is in a coma. The book is told from the alternating perspectives of Eddie, Sam, and Henri. Yes, you read that right, you will get to know the man in the coma quite well. I wasn't prepared for how much this would hit me on an emotional and spiritual level. Now I'll admit some of what the author was trying to express might have gone over my head, but what I did get, I loved. It was truly a treat to read a book in which the author was willing to go out on a limb and write a book that might not be "market friendly". I love when authors are willing to take chances and just go for it in order to tell the story they want and I appreciate when publishers give them the opportunity to do this as well. Such a great read and I look forward to checking out the author's other novels. Read this book if you are up for the challenge that it might be a high risk, but high reward type read. I’m a fan of Nina George’s Little Paris Bookshop, and I noticed right away that her trademark warmth imbued on every page of The Book of Dreams. Henri Skinner, one of our main characters, is a former war reporter. He’s rough around the edges, and the war has shaped him. He’s going to visit his son, Sam, who he doesn’t really know. While literally on his way to see his son, he is injured and rushed to the hospital. While there, he is comatose and vividly dreaming about the secrets of his past. Sam, Henri’s son, is a gifted thirteen-year-old, and he sits by Henri every day at the hospital. It’s there that Eddie Tomlin arrives, a woman who has loved Henri for many years. Also at the hospital is Madelyn, a twelve-year-old who is also in a coma. She has survived an accident that killed every member of her family. Each character is dreaming of hope and fighting for life in their own way, and together, they are bonded by these wistful wants. Gosh, The Book of Dreams gave me so much to think about. First, it had me feeling deeply for its characters, and then it transferred to real life, as the story became so earnest, it felt real and luminescent. The Book of Dreams is deeply emotional and soaringly rewarding. I cried until I felt that ache in my chest. I had the hardest time letting go of this story and turning the last page. There is sadness, loss, and tragedy here, as is hope. Lyrical writing, deep meaning, heartbreaking, powerful, and profound, The Book of Dreams taught me about “just being” versus “truly living” among many other life lessons, and I am ever so grateful this book was in my hands and is now in my heart. Cheri This is such a lovely review, Jennifer. I think I need to add this one! OMG! I absolutely LOVED this book! The Book of Dreams is a story to be savored and for me, to read again and again. It is charming, endearing, fascinating, thought-provoking, and ingenious. I felt a range of emotions while reading this book including happy, hopeful, surprised and sad. The Book of Dreams is a compelling story that I could not put down. An added bonus for me is that the writing is beautiful the imagery is divine. George is a master at the effective use of metaphors and similes. One OMG! I absolutely LOVED this book! The Book of Dreams is a story to be savored and for me, to read again and again. It is charming, endearing, fascinating, thought-provoking, and ingenious. I felt a range of emotions while reading this book including happy, hopeful, surprised and sad. The Book of Dreams is a compelling story that I could not put down. An added bonus for me is that the writing is beautiful the imagery is divine. George is a master at the effective use of metaphors and similes. One of the book’s basic premises is that there are different levels of consciousness between life and death. Nurse Marion describes her comatose patients as “Wanderers” and says they live “on the bottom rung of heaven.” I think the primary reason that I found Book of Dreams so compelling was because of all the questions it raises about consciousness, life and death and “living in a coma.” I found it fascinating to ponder all the different theories and ideas that George presents in this book. The book’s sections alternate among three different narrators - Henri (a man who saved a young girl from drowning only to be almost fatally hit by a car), Sam (Henri’s 13 year old estranged son who is a synesthete) and Eddie (Henri’s ex-girlfriend who he designated in his living will). Henri is in a coma, visited everyday by Sam and Eddie who refuse to give up hope. They learn about the different states of consciousness that Henri may be passing through though they cannot know for certain which place he is in at any given moment. We are privy to Henri’s inner world — his recollections, thoughts, feelings, and what he is currently experiencing/hearing. We learn about the different paths his life could have taken and their respective outcomes. Is Henri traveling through his memories? Is he lost without a way to return to consciousness? Eddie and Sam wonder if there is a way they can help to bring Henri back? They are desperate and willing to try anything. Does Henri want to come back? Is he aware of where he is and what is happening to hijm? The Book of Dreams raises all sorts of intriguing questions, such as do comatose people perceive everything around them? Do they struggle to “stay afloat”? Can they communicate through Dreams? Can they communicate with other comatose people? Can there be multiple realities at the same moment? Are there parallel universes? Nina George admits that she has always been afraid of death - her own and that of those close to her that she loves. "... existential questions about death have colored my last three novels, The Little Paris Bookshop, The Little Breton Bistro, and The Book of Dreams . To produce these books, which address issues of being and no-longer-being, have no happy endings, and are therefore not very “market friendly,” I needed book people who were willing to tread this kind of literary path with me." This Nina George admits that she has always been afraid of death - her own and that of those close to her that she loves. This book was one sad thought after another. Both the dreams of Henri who is in a coma and the dreams of Sam, his son and Eddie, his love. A very difficult read and depressing read to be sure. But I want to be there for you, Nina, so recommend your excellent prose and your own voice hidden within. The story eventually captured my attention, but if I’m being honest... I was hoping for a different conclusion. The Book of Dreams is a fascinating read that grabs the reader tightly and demands attention. The unique narrative is written in the first person from each of the main characters' point of view, thus the reader is able experience the story from multiple angles. Nina George effectively explores the depths of human relationships, and looks intently at both the good side and the bad. Ultimately this is a story of redemption, and each characters journey to find it is heartbreaking, yet inspiring. Th The Book of Dreams is a fascinating read that grabs the reader tightly and demands attention. The unique narrative is written in the first person from each of the main characters' point of view, thus the reader is able experience the story from multiple angles. Nina George effectively explores the depths of human relationships, and looks intently at both the good side and the bad. Ultimately this is a story of redemption, and each characters journey to find it is heartbreaking, yet inspiring. The story centers on Henri, who ends up in a coma after rescuing a young girl from the Thames, his ex-girlfriend Eddie and his son Sam. The Book of Dreams has ordinary, flawed characters in an extraordinary situation, plus extraordinary characters one just doesn't usually find. The Book deals with tragedy but gives hope, and it deals with endings that are really beginnings. This is an absolute treasure of a book, though I recommend having a box of tissues nearby when you read it...it's been a long time since a book touched me so deeply--I literally ached at the end of this book. This story is one the reader does not want to leave--while reading or after finishing. Thank you NetGalley, Crown Publishing and Nina George for the opportunity to read this book in exchange for an impartial review; all opinions are my own. Die Geschichte, in der auch persönliche Erlebnisse der Autorin verwoben sind (u.a. der Verlust des Vaters) widmet sich ernsten Themen, über die sicherlich nicht jeder lesen möchte. George spricht das aus, worüber viele schweigen. Es sind Dinge wie ein künstliches Koma, Verlust und Tod. Auf der Suche nach dem Platz im Leben wandern wir auf einem schmalen Grat zwischen Leben und Tod, zwischen liebevoller Hingabe und zweifelnder Unsicherheit, zwischen Liebe und Pflichtgefühl. Wir wechseln zwischen den Welten. Geben uns Tagträumereien hin und blicken aus der Ferne in die Realität. Durchlaufen “Was wäre wenn? – Szenarien. Beautifully written story with unforgettable characters navigating through the many questions that connect us to our world and each other. Having lived through most of the experiences in this story I felt that Ms. George does indeed understand the struggle we all face in being human. A Must Read. Thank you to NetGalley for the opportunity to read this incredible story! The Book of Dreams was published in Germany four years ago, but is only now being released as an English translation. In the April edition of Good Reading magazine, Nina George talks about her own experiences with the rare neurological condition of synaesthesia. After writing nearly 30 books under five different pen names, The Book of Dreams is the first time she’s written about the condition. I have to say, reading that Nina herself is a synesthete really added a layer of credibility to this no The Book of Dreams was published in Germany four years ago, but is only now being released as an English translation. In the April edition of Good Reading magazine, Nina George talks about her own experiences with the rare neurological condition of synaesthesia. After writing nearly 30 books under five different pen names, The Book of Dreams is the first time she’s written about the condition. I have to say, reading that Nina herself is a synesthete really added a layer of credibility to this novel that cemented its authenticity. All of a sudden, Samuel’s experiences of the world ceased to be only the product of research. I have always been a bit fascinated with synaesthesia, but was also slightly sceptical, simply because it’s so incredibly hard to visualise. The Book of Dreams is the first time I’ve read about the condition in such an accessible way. And as far as characters go, Samuel is pretty special, and not just because he is a synesthete. Nina George fließen so schöne Sätze aus der Feder wie ich es sonst wirklich nur von wenigen anderen Autorinnen und Autoren kenne. Man möchte sich geradezu hineinlegen und weich darauf betten. Een zeer boeiend thema wordt in dit boek bij de kop gevat. De uitwerking kon her en der mijn aandacht echter niet helemaal vasthouden. De laatste 100 blz. las ik dan weer in sneltreinvaart. Ontroerende plot! Es wäre falsch, diesem Buch keine 4,5 Sterne zu geben, das könnte ich nicht fertig bringen. An den Schreibstil musste ich mich erst gewöhnen, obwohl gerade die erste Seite UND Schreibstil Grund war, das Buch spontan zu kaufen. Es hat mich sehr gefesselt. Über ein paar Dinge hätte ich gerne mehr erfahren, in ein paar andere Dinge konnte ich mich nicht so gut hineinversetzen. But that's reading. Gleichzeitig war es sehr anstrengend zu lesen, weil mein Papa vor etwa einem Jahr auch im Koma I cried. "Nichts "passiert" einfach so. Es gibt die Möglichkeit, sich zu entscheiden. Ob man lügt. Oder die Wahrheit sagt. Ob man ein Arschloch ist. Oder nicht." Nina George fordert in ihren Büchern immer viel von mir. Sie schreibt so schön, so echt, so voller Liebe und Schmerz. Ich spüre das beim Lesen dieses Buches fast körperlich. Es tut weh und es macht zufrieden, mal tost ein Sturm durch einen hindurch, mal leuchtet alles vor Glück. So zu schreiben, ist eine große Gabe und dies lesen zu d "Nichts "passiert" einfach so. Es gibt die Möglichkeit, sich zu entscheiden. Ob man lügt. Oder die Wahrheit sagt. Ob man ein Arschloch ist. Oder nicht." This book captivated me right from the beginning. It is a tough subject; what happens to us when we die; is there life after death, is there an alternative reality, or parallel worlds that happen along side the one we live in? Subjects that have always grabbed my attention and made me think hard about how little we know of truth and reality. Henri is a war correspondent. His 13 year-old son Sam is a synesthete and has an IQ of 144. Sam sent Henry a note and asked to meet him for an event at his s This book captivated me right from the beginning. It is a tough subject; what happens to us when we die; is there life after death, is there an alternative reality, or parallel worlds that happen along side the one we live in? Subjects that have always grabbed my attention and made me think hard about how little we know of truth and reality. Henri is a war correspondent. His 13 year-old son Sam is a synesthete and has an IQ of 144. Sam sent Henry a note and asked to meet him for an event at his school. On the way there, Henri performs a heroic deed but is struck by a passing car, casting him into a coma. At Henri's bedside, Sam meets Eddie, who was named as healthcare surrogate in Henri's living will. Eddie is the love of Henri's life, but is also the woman that terrified him into rejecting her. Throughout Henri's coma he lives and relives different points in his life when he could have made different choices; some in which he and Sam's mother stayed together and he never met Eddie, some in which he died repeatedly in a variety of ways and scenarios. Through it all, Sam can sense his father's presence, although the prognosis from doctors is grim. Sam, Henri, Madelyn, and Edwina's lives intertwine in a most unexpected way. This novel focuses on life, death, and everything in between as Henri and Madelyn are both coma patients in the same hospital. And surprisingly, they also exist in the same in-between state. We get the viewpoints of all 4 characters thus giving us an interesting, and profound perspective on everything. It's a soulful, heartbreaking, oddly uplifting novel. The writing is lyrical. Everything I've come to expect from Nina George. The story tugs on your heartstrings just enough to get you wondering about dreams and what they are. About what happens after death. What, if anything, do we take with us? Really beautifully written book about dreams and the end of life. Started out great, slogged through the middle, and the ending was so very disappointing. After sticking with the characters for that long the choices made by Henri in the end made no sense. What a let down. There is a great tone to the start of the book and I think the author had a good concept but ultimately this book just let me down. My copy was provided by NetGalley for review. Manchmal sind es die dramatischen Ereignisse, oft sind es aber auch die unbedachten Entscheidungen, die zu Wendepunkten im Leben werden; die Weichen werden neu gestellt, und danach gibt es kein Zurück mehr. Ein einziges kleines Wort hätte für Henri Skinner alles verändern können: wie wäre sein Leben verlaufen, hätte er stattdessen mit »Ich dich auch« geantwortet? Das Buch beginnt damit, dass Henri sich aufmacht, seinen 13-jährigen Sohn Sam zum allerersten Mal zu treffen - aber auf dem Weg zum vereinbarten Treffpunkt rettet er ein Leben, wird daraufhin selber schwer verletzt und fällt ins Koma. 46 Tage lang erlebt er im halb-bewussten Dämmerzustand unzählige Variationen seines Lebens, in jeder davon hat Henri an einem bestimmten Wendepunkt eine andere Entscheidung getroffen. Währenddessen sitzen zwei Menschen hoffnungsvoll an seinem Bett: die Liebe seines Lebens, Eddie, der er mit seinem 'Ich dich nicht' das Herz gebrochen hat, und sein hochsensibler Sohn Sam, der sich immer danach gesehnt hat, seinen Vater kennenzulernen und jetzt Angst hat, zu spät zu kommen. Nina George beschäftigt sich hier mit grundlegenden existentiellen Fragen: mit nichts Geringerem als der Suche nach dem Sinn des Leben, der Angst vor dem Tod, dem Zweifel daran, ob man die Welt auf seine eigene Art zu einem besseren Ort gemacht hat, der lähmenden Furcht, man könne sein Leben verschwendet haben... Aber sie schreibt darüber nicht aus philosophischer Distanz oder klingt wie eines dieser beschaulichen Geschenkbüchlein, sondern erzählt eine Geschichte, die berührt und zum Nachdenken anregt und trotzdem mitten aus dem Leben gegriffen scheint. Allerdings enthält das Buch auch eine Prise Phantastik, eine Spur Märchen, einen Hauch von Poesie. Ein Neurologe würde beim Lesen vielleicht milde lächelnd den Kopf schütteln und sagen: Nonsens, ein Komapatient ist gar nicht fähig zu solch komplexen Gedanken, und andere Leben träumen kann er schon mal gar nicht... Das ist Wunschdenken. Das ist Realitätsflucht. Ich konnte mich jedoch wunderbar darauf einlassen, denn Nina George lässt alles, was geschieht, vollkommen plausibel klingen, und dennoch originell und fantasievoll und einzigartig. Ein Großteil des Buches spielt sich in den Köpfen der drei Hauptcharaktere ab, die sich alle kaum aus Henris Krankenzimmer fortbewegen. Aber das funktioniert und es ist trotzdem spannend, weil sie außergewöhnliche Menschen sind, die lebendig und vielschichtig geschildert werden und auf ihre jeweilige Art sehr liebenswert sind. Henri war früher Kriegsreporter, und auch nachdem er diese Karriere an den Nagel hing, blieb er ein Getriebener, der nirgends wirklich zur Ruhe kam. Eddie ist Verlegerin und ihr kleiner Verlag hat sich spezialisiert auf Phantastik - nicht Fantasy, wie sie rigoros betont. Keine Zwergen, Elfen, Vampire und so weiter. Dafür aber alles, "was nur drei Schritte neben unserer Wirklichkeit sein könnte". Sam ist 13 und schon Mitglied der Mensa,dem internationalen Netzwerk für Hochbegabte. Er ist Synästhetiker: Zahlen haben für ihn nicht nur eine Farbe, sondern auch eine Persönlichkeit, er kann Lügen sehen und Gefühle schmecken. Bei Menschen im Koma kann er fühlen, ob sie gerade nah an der Oberfläche sind oder ganz weit weg. Später kommt noch ein weiterer Charakter hinzu: die 12-jährige Maddie, die ein Stockwerk über dem Zimmer von Henris Vater im Wachkoma liegt. Sam verirrt sich eines Tages dort hinein und weiß direkt: ohne dieses Mädchen will er nicht mehr sein, nie mehr. Das hätte furchtbar kitschig werden können, war aber unglaublich rührend. Überhaupt werden die Beziehungen zwischen diesen vollkommen unterschiedlichen Menschen intensiv und überzeugend beschrieben. Was mich aber am meisten an diesem Buch begeistert hat, war der lyrische Schreibstil, der großartige Metaphern und Bilder findet und dabei mit einer ungeheuren Eindringlichkeit Emotionen vermittelt, ohne jemals ins Pathos abzudriften. Ob es jetzt gerade lustig ist oder traurig, es ist immer authentisch und glaubhaft - und gleichzeitig irgendwie drei Schritte neben der Wirklichkeit. Die Autorin erzählt eine Geschichte der leisen Töne, in der es um die Entscheidungen geht, die unser Leben verändern. Was wäre wenn...? Henri erlebt im Koma sein Leben immer wieder neu, während Eddie und Sam versuchen, ihn ins Leben zurückzuholen. Und das ist trotz der Thematik nicht deprimierend, sondern bezaubernd wie ein Märchen und auch in traurigen Szenen immer behutsam positiv. Der Schreibstil ist von einer ganz eigenen, außergewöhnlichen Schönheit. The Book of Dreams shepherds with an enigmatic touch, gently coaxing its colourful personalities out of the darkest places and back toward the light. It patrols the border of life and death, dipping its toe into a sea of unknowns where the divided unite to save themselves, and perhaps each other. The main stage for this story is an intensive care ward, ‘home’ to a cerebrally-animated coma patient whose unconscious reveries are unexpectedly uplifting. Providing support to the outwardly lifeless Hen The Book of Dreams shepherds with an enigmatic touch, gently coaxing its colourful personalities out of the darkest places and back toward the light. It patrols the border of life and death, dipping its toe into a sea of unknowns where the divided unite to save themselves, and perhaps each other. Providing support to the outwardly lifeless Henri on this journey of illumination and closure are Sam, his thirteen year old Synesthete son, Henri’s two exes (Sam’s mum and Eddie), and a commanding neurosurgeon nicknamed ‘God’ throughout. There’s also a twelve year old dancer, who Sam befriends after ‘sensing’ her struggle to free herself from that mysterious, veiled place beyond the waking world. Sam’s tentative relationship with his sleeping beauty, Maddie, is choreographed to perfection. This tale generously nurtures every character’s role, encouraging their emotional enrichment in many ways and to different ends. Regardless of whether the story focusses on their past or present you clearly see the lasting impressions people leave on others, and the effects can be the difference between existing and living. A candid and often humorous thought-provoking book in which dreams have the power to heal. The Book of Dreams was a book that in its own way danced through my dreams. I didn’t know what to expect when I first picked up this novel. It looked interesting but I wasn’t certain if I would like the book or not and I was pleasantly surprised. The book switches between three different points of view, Henri, Sam, and Eddie. Sam’s point of view is the most straight forward and in many ways he is the main focus of the entire book. He is a teenager who has never met his father, but goes to see hi The Book of Dreams was a book that in its own way danced through my dreams. I didn’t know what to expect when I first picked up this novel. It looked interesting but I wasn’t certain if I would like the book or not and I was pleasantly surprised. The book switches between three different points of view, Henri, Sam, and Eddie. Sam’s point of view is the most straight forward and in many ways he is the main focus of the entire book. He is a teenager who has never met his father, but goes to see him when his father ends up in a coma in the hospital. Through his point of view we see the facts about what is happening currently. Eddie’s point of view also allows us a view of the current happenings at the hospital; however, she also allows us a look at the past and relationships. She is listed as Henri’s emergency contact despite little contact for years. She is struggling to understand her feelings towards Henri. Henri’s point of view adds another layer to the story. Through him we see his past, the different stories that he has lived, and the event that sent him into a coma in the first place. In many ways this book draws you in and you want to read more and more. You are left waiting and wanting to know what happens. At the same time the language and imagery is beautiful and keeps you engaged with the story. The only downside for me was that some of the side characters were underdeveloped and I felt either could have become fuller characters or have been discarded. Overall, a great book that I loved to read. I don’t want to say too much as I don’t want to spoil anything in the book. Thank you to First to Read for the opportunity to read an advance digital copy! The Book of Dreams is a tough read, y'all. The subject matter within it challenged me to the highest degree. I wasn't prepared. This type of book, full of speculation, is not what I enjoy reading; it's too much work. I still don't know if I fully "got it" but I feel like I got the gist. It deals with consciousness and whether we can communicate with each other in each other's dreams, in a kind of an alternate connection. By that I mean, communicating with someone while in a coma. I wasn't exactl The Book of Dreams is a tough read, y'all. The subject matter within it challenged me to the highest degree. I wasn't prepared. This type of book, full of speculation, is not what I enjoy reading; it's too much work. I still don't know if I fully "got it" but I feel like I got the gist. It deals with consciousness and whether we can communicate with each other in each other's dreams, in a kind of an alternate connection. By that I mean, communicating with someone while in a coma. I wasn't exactly comfortable with the idea but I have never denied the opportunity to learn about things that make me uncomfortable. I think some of the things that appeal to some readers, like flowery prose and metaphors, is what turns me off. It's just a personal preference. Another interesting aspect of the book is that one of the main characters has a rare neurological condition called Synaesthesia. I had never heard of it before but apparently the author suffers from this condition so she is able to write from experience rather than from research. Synaesthesia is a condition where a person has a pathological ability to "read" a person's feelings. They can hardly cope with the world and the way they see it, so they are often diagnosed as schizophrenics later in life due to their oversensitive emotions and peculiar ways. One of the characters in the book, 12 year old Sam, has the condition and is able to "read" the coma patient and knows he is still there, even when an MRI and his medical team see no brain activity. These are the parts I just couldn't wrap my mind around. As you can see, the themes in this book are pretty depressing. I will say that you need to go into this with an open mind and recognize the courage Nina George must have to create such a complex novel, knowing it is only going to appeal to a small amount of readers. I know there is someone out there who needs this book, I just don't think it's for me. not usually a book that i would pick up. but i heard someone describe the storyline and i knew i had to read it. the story was enveloping and interesting. the writing was flowery and philosophical. the characters were full and dimensional. however, after the halfway point, things got a bit draggy. on top of that, i saw where the plot of this book was going even before i started it and the ending wrapped up super quickly. so that was a tad disappointing. overall, it’s a nice r DEATH. FATE. WHIMSY. Die Geschichte handelt von Henry, der auf dem Weg zu seinem Sohn ist, von Edwinna, einer erfolgreichen Verlegerin und dem 13-jährigen Sam, der Farben sehen kann. Was alle verbindet wird dem Leser schon zu Beginn offenbart. Dennoch kann das Buch dank der wundervollen Sprache der Autorin und den Protagonisten unterhalten und begeistern. Es gibt nicht viele Bücher, bei denen ich weinen muss. 2016 ist mir das bei genau zweien passiert und es traf mich unvorbereitet. Beim Traumbuch hatte ich beim Lese Die Geschichte handelt von Henry, der auf dem Weg zu seinem Sohn ist, von Edwinna, einer erfolgreichen Verlegerin und dem 13-jährigen Sam, der Farben sehen kann. Was alle verbindet wird dem Leser schon zu Beginn offenbart. Dennoch kann das Buch dank der wundervollen Sprache der Autorin und den Protagonisten unterhalten und begeistern. Es gibt nicht viele Bücher, bei denen ich weinen muss. 2016 ist mir das bei genau zweien passiert und es traf mich unvorbereitet. Beim Traumbuch hatte ich beim Lesen das Gefühl, dass die Tränen nicht mehr lange auf sich warten lassen würden. Nina George's Schreibstil ist unbeschreiblich. Eindringlich, schonungslos, dann wieder sehr gefühlvoll und zerbrechlich. Seit dem Traumbuch habe ich eine neue Lieblingsautorin. I love this author, her books are always so interesting. Henri Skinner, a man in a coma, after saving a young girl and then having been hit by a car. Eddie, a love from the past, who could never forget Henri. thirteen year old Sam, who is Henri's son and who is a synesthete and who never really knew his father. Maddie ,a twelve year old girl who is unresponsive after an accident where she lost the rest of her family. These are the main characters in this story. The books deals with a lot of emotion I love this author, her books are always so interesting. The books deals with a lot of emotions and points of view, when all of these people come together at the hospital. Eddie and Sam try and get through to Henri, hoping to wake him from his coma and Sam also finds out about Maddie and tries to also bring her out of her self imposed oblivion. It is a story about what goes on between life and deaf, beautifully written showing us all of the different possibilities that could exist. It is a trip through the characters pasts and a look at the present and hopeful futures. It transcends mind barriers. Born 1973 in Bielefeld, Germany, Nina George is a prize-winning and bestselling author (“Das Lavendelzimmer” – “The Little Paris Bookshop”) and freelance journalist since 1992, who has published 26 books (novels, mysteries and non-fiction) as well as over hundred short stories and more than 600 columns. George has worked as a cop reporter, columnist and mana ENG (for German Bio please scroll down). In 2012 and 2013 she won the DeLiA and the Glauser-Prize. In 2013 she had her first bestselling book “Das Lavendelzimmer”, translated in 27 langues and sold more than 500.000 copies. In November 2011, Nina George established the “JA zum Urheberrecht” (YES on Author’s Rights) initiative, which supports the rights of authors, artists and entertainers and is dedicated to resolving issues within the literary community as well as establishing fair and practical rights-license models for the web-distribution. 14 writers’ associations and 27 publishing partners have since joined the JA…-Initiative. George supports the “Initiative Urheberrecht” (Author’s Rights Initiative—www.urheber.info) as well as the “gib 8 aufs Wort”-campaign of the VG Wort. In August 2014 George initiated the Amazon-protest in Germany www.fairer-buchmarkt.de, where overs 2000 germanspeaking authors – Nobelprizewinnig Elfriede Jelinek or Bestsellingauthor Nele Neuhaus – sign an open letter to Jeff Bezos and Amazon, protesting against the banned-book-methods of the giant retailer in the Hachette/Bonnier-dispute. In 2015 George is the founder of the Initiative Fairer Buchmarkt e.V., which supports questions of law in daily business of authors – for ex in contracts, fees or author’s rights and e-Business. George is Member to PEN, Das Syndikat (association of German-language crime writers), the Association of German Authors (VS), the Hamburg Authors’ Association (HAV), BücherFrauen (Women in Publishing), the IACW/AIEP (International Association of Crime Writers), the GEDOK (Association of female artists in Germany), PRO QUOTE and Lean In. Nina George sits on the board of the Three Seas Writers’ and Translaters’ Council (TSWTC), whose members come from 16 different countries. Die mehrfach ausgezeichnete Publizistin Nina George, geboren 1973, veröffentlichte bisher 23 Romane, Krimis, Science-Thriller sowie ca. 88 Kurzgeschichten und über 500 Kolumnen. Ihr Pseudonym Anne West gehört zu den erfolgreichsten deutschsprachigen Erotika-Autorinnen. Für ihren Roman Die Mondspielerin wurde George mit der DeLiA 2011, dem Literaturpreis für den besten Liebesroman des Jahres, ausgezeichnet. Mit dem Wendekrimi Das Licht von Dahme war George 2010 für den Friedrich-Glauser-Preis nominiert. Sie gewann ihn 2012 mit dem in Nigeria angesiedeltem Fußballkrimi „Das Spiel ihres Lebens“. George gründete 2011 die Initiative „JA zum Urheberrecht“, mit der sie sich aktiv für die Rechte aller Kreativarbeiter und Kulturschaffenden gegen die Mentalität der Gratiskultur im Internet einsetzt. Sie ist Mitglied im Syndikat, den Mörderischen Schwestern sowie des Verbands deutscher Schriftsteller.